In Britain it is currently known from one population in a mine adit on Flat Holm Island in the Bristol Channel. It is more widespread on continental Europe. This species inhabits caves, cellars, sewers and similar dark habitats. 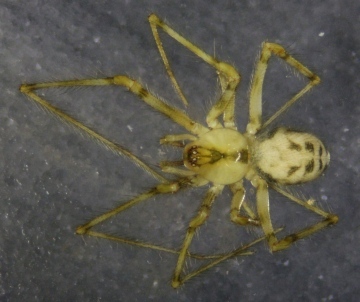 The female carries a single egg-sac attached to the spinnerets. On Flat Holm mature males and females with egg-sacs have been observed in August. A European species expanding its continental range. Original author of profile: R.C. Gallon.